DETAILS Print these bookmarks (or use as gift tags) on card stock if you have it, but plain old computer paper works too, it's just a bit flimsy. Personalize those containing blank space with your own message. Carefully cut out. Those who are lucky enough to receive your bookmark will think of you every time they open their book! 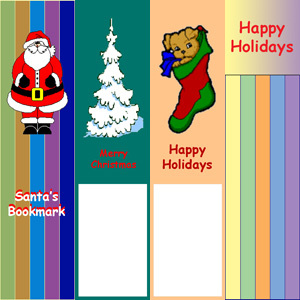 Click to print these bookmarks.